Józef Szaniawski – PhD in history, political scientist, commentator, and journalist in Poland and the United States. Born in Lwów in 1944, his family was expelled after the city was incorporated into the Soviet Union. From 1970 until 1985, he worked as a journalist for PAP (Polish Press Agency). At the same time, he was involved in the underground independence movement. Between 1973 and 1985, he worked with Radio Free Europe, contributing reports and commentary on the communist regime of the PRL (Polish People&#39;s Republic), along with the country’s political dependence on and economic exploitation by Soviet Russia. He wrote over five hundred secret dispatches for the broadcaster. In 1985, he was detected by the communist secret police and military intelligence, arrested, and falsely accused of collaborating with the CIA. The accusation stated that his “activity threatened the very foundations of People’s Poland and the Polish-Soviet alliance”. A military court sentenced him to ten years imprisonment. He spent five years in the PRL’s harshest prisons; first in the communist military intelligence’s prison on Oczki Street and interrogator’s custody on Rakowiecka Street, both in Warsaw; later in the high-security prison in Barczew. He was released on 22 December 1989. The Supreme Court deemed him the PRL’s last political prisoner. 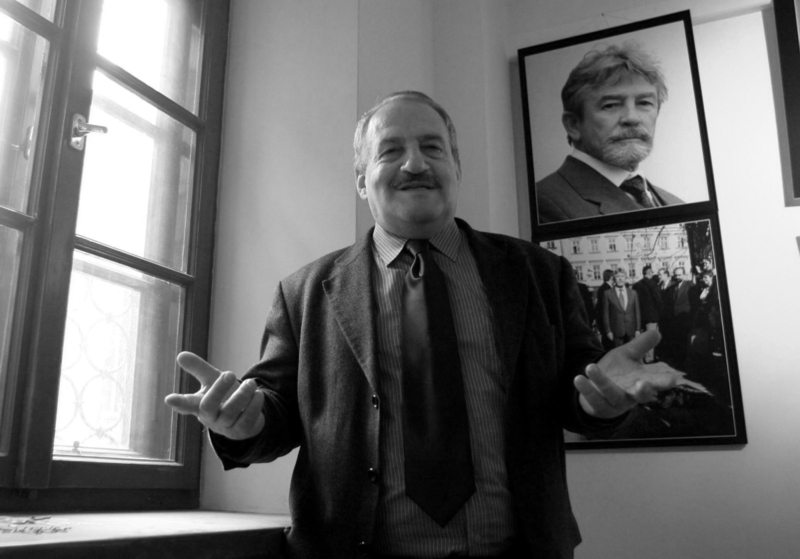 From 1993 onwards, he served as an academic and vice-rector of the Melchior Wańkowicz School of Journalism and then at the Institute of Journalism at Warsaw University, the School of International Relations and American Studies, the School of Social and Media Culture, and the Institute of Media Education and Journalism at Cardinal Stefan Wyszyński University. From 2005, he was a member of the Polish Army Museum’s academic council. He wrote over 3000 articles, political essays, books, and documentary screenplays. From 1993, he was Colonel Ryszard Kukliński’s plenipotentiary in Poland, organising the campaign to restore his good name. He contributed to revealing his intelligence mission and to his rehabilitation. In 1998, he prepared Kukliński’s visit to Poland. In 2004, he became the plenipotentiary of the colonel’s widow, Mrs Joanna Kuklińska. In 2006, he became the founding director of the General Ryszard Kukliński Museum. He worked with the World Association of Home Army Soldiers and was among those responsible for the construction of the Katyń Monument in Warsaw. Between 1990 and 2003, he published in the Polish press and diaspora publications in the United States, including Tygodnik Solidarność, Wprost, Polska Zbrojna, Nowy Świat, Gazeta Polska, Dziennik Chicagowski, Nowy Dziennik, and Dziennik Związkowy. From 1994 until 2003, he lectured at the Institute of Journalism at Warsaw University, serving as an associate professor and vice-rector at the Melchior Wańkowicz School of Journalism from 1996 until 2001. Later, he lectured at the School of International Relations and American Studies, and at Cardinal Stefan Wyszyński University. He also lectured at the School of Social and Media Culture founded by Father Tadeusz Rydzyk in Toruń, working as a commentator for Nasz Dziennik, Nasza Polska, Radio Maryja, Telewizja Trwam, and the online SIM Radio. He was also involved in the production of several historical films for Telewizja Polska and Telewizja Trwam. He also wrote many radio programmes. He wrote several thousand articles, political essays, books (especially about Colonel Ryszard Kukliński and Józef Piłsudski), radio programmes, and documentary screenplays. His final publication was the book Grunwald. Pole chwały (Grunwald, Field of Glory), published in July 2010. He was married to singer Halina Frąckowiak. He died tragically in the Tatra Mountains on 4 September 2012, after falling in the Dolina Pięciu Stawów (Valley of the Five Pools), descending from the summit of Świnica in the direction of Zawrat. His funeral took place in St John’s Archcathedral in Warsaw on 15 September 2012. He was buried in the Powązki Military Cemetery. The Knight’s Cross of the Order of Polonia Restituta, “For outstanding achievements in documenting and commemorating the truth about Poland recent history, and for his contribution to democratic change in the country”.